The Only Listing handler builds a list of directories and files within the requested directory, but does not allow you to download its contents. Refer to List & Send for the opposite behavior. Optional. Display the size of files in the listings. Default: Enabled. Optional. Display the last modification date of the files and directories in the listings. Default: Enabled. Optional. 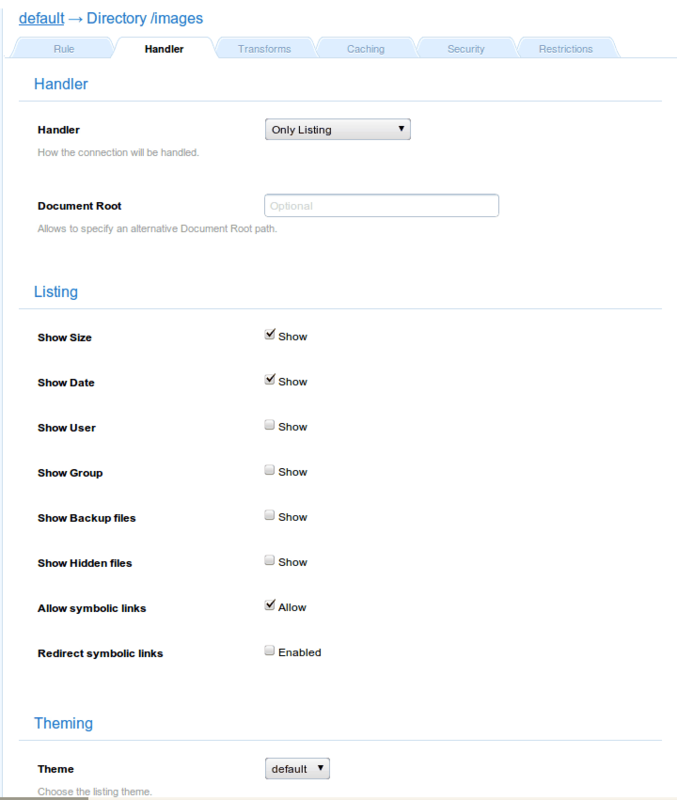 Display the owner of the files and directories in the listings. Default: Disabled. Optional. Display the group ownership of the files and directories in the listings. Default Disabled. Optional. Display symbolic links. Default Enabled. Optional. The theme to use when displaying the directory listings. Default: default. Optional: Alternative path to a new icon set. Optional: List of notice files to be inserted. It is possible to change the default theme used when displaying the directory listings. 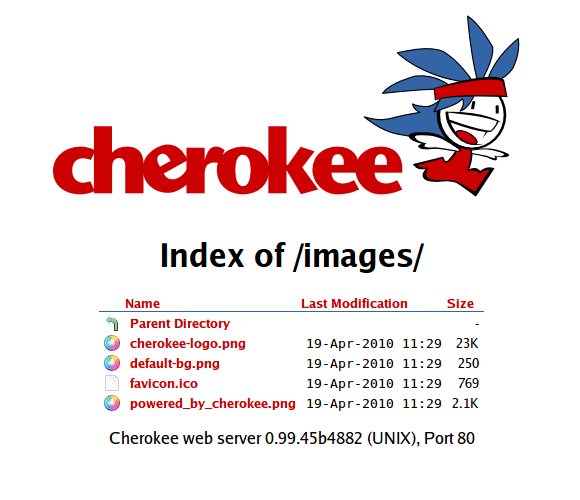 Simply create a new directory in the above mentioned path containing the listed files and you’ll be able to select it in cherokee-admin. This is just one of many possible configurations. The output given by such configuration is a simple directory listing that can be sorted by any of its columns.